While entering into a brand new year, we all make resolutions for it, since we want to change and improve our life for better. The resolutions and renovations are not limited to lifestyle only. When it comes to businesses, people want to introduce something new and exciting in their business with the arrival of New Year. This is exactly why you will see a lot of big and small companies putting in an effort to re-brand so that they are able to present their product into a brand new way. I have personally seen a lot of trends occurring every year however, things do change and new trends are seen practiced with every passing year. In 2013, like every year, businesses will continue to focus of redesigning of their logo so that they are able to attract an entire new customer base. Also, we have always heard that change is good. The reason why companies keep on making slight changes to their logos and taglines is because it brings a refreshing change for the business. Also, these changes help in attracting a whole new lot of consumers. Today, in this article we will be predicting 2013’s trends for logo designing. I have always mentioned in my previous articles that ‘less is more’ and I strongly believe in it. Like 2012, this year a lot of business giants are expected to stick with the simple logo designing. If you do a little research you will analyze that most of the business giants are supporting minimal and typographic based logos. Designers will try to bring more mature and decent logos in the market. Always keep in mind that simplicity does not mean boring and I expect a lot of simple yet contemporary designing in logos. Ebay is one great example of simplicity and typographic logos and they continue to stick to it. So, go for minimalistic approach this year and see the beauty of simplicity. Thanks to the unusual design of University of California’s logo, a new trend hit the logo designing industry i.e., geometrical figures. Following this, we witnessed the logo of London Olympics, 2012 and I remember a lot of people liking it and at the same time a lot of people hated it too. This difference of opinion is natural however; I have seen multiple brands getting inspired from the unusual designing of these logos. Do keep in mind that unusual designing in no way means that you have to go overboard with designing. I think geometric typefaces with plain shapes will be one of the trends in logo designing in 2013. I know this is the era of technology and graphics however, it is always good to connect to an older epoch. 2013 will also give a boost to handmade and classic logo designing. You will be seeing a lot of hand drawn logos with textured papers of course. Such designs will have a lot of retro touch in them and I am sure their simplicity will be to die for. Not only the designing will be retro, such logos will be printed following the traditional and typical printing procedures such as splashed water colors and paints. Apart from an inclination towards vintage trends, a lot of designers will be seen supporting their historical heritage. A lot of brands will be seen supporting the history of their country by implementing the items related to their custom and traditions within their logos. I am personally looking forward to this as such logo designing will help others in learning about different customs and traditions of various countries. Well it has never been a condition that brands can only have one logo however; mostly brands prefer to have a single logo. But with 2013, we can expect this trend to change. In 2013 we should expect multiple logos for a single brand and by multiple logos I do not mean totally different logos. This trend will have multiple logo elements laid in a pinnacle manner. This is a unique and a flexible trend which is expected to be a great hit in this year. 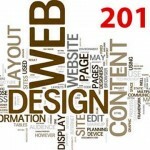 Since the year 2011, this trend has been flourishing and is still expected to grow in the year 2013. You will find numerous brands missing multiple elements in their brand in order to create a good one. In 2013, prepare yourself to see the best of creativity using elements, icons, overlapping shapes and as mentioned earlier, geometrical figures as well. Orange and T-Mobile are a great example of such logos, and I can assure you that a lot more is to come. Another trend expected in logo designing is of distorted logos. You will also see GIFs animated logos this year. No more boring and static logos in the year 2013 as world is getting creative and thanks to the technology, designers are able to portray their imaginations into proper logos. Have you seen the logo for the next Olympics? If yes, you will understand what I am about to predict. Since it is a summer Olympic, the logo is very summery with a lot of bright colors. Following the footsteps of Olympics logo, a lot of brands are now opting for vibrant and vivacious colors. Expect to see a lot of unexpected trends and introduction of various innovative ideas. Some rebellious people won’t follow any trends and will come up with something totally different. As mentioned above, water colors will be the new trend of this year. Apart from this, rich colors such as purple and brick red will be in trend. Nature relevant logos will also be quite in demand. Prepare yourself for a lot of trees, leaves and windy logos. Above mentioned points are among the expected trends in logo designing that we will see. However, I am sure that we can see a lot of unexpected stuff thanks to the creative designers we have all across the globe. Let’s wait and watch what 2013 holds for logo designing. The beauty about creating a logo that is simple and minimalistic is that they never go out of style. Logos that are in today are usually out tomorrow, but simple logos tend to last and always look “in”. Nice examples of new logo trends. Really nice trends of logos for business..I’ll look forward to making logo for my company too.